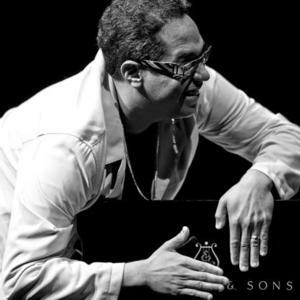 Panamanian pianist and composer Danilo P?rez is a leader in a new generation of jazz musicians. An innovative and immensely talented player with a sophisticated grasp of jazz traditions, Danilo is never content to simply rehash the music of earlier masters. By combining distinctive Latin rhythms with his abiding love for jazz, he's earned a reputation as an artist who transcends conventional definitions of jazz. A dynamic force intent upon moving the music several steps forward, Danilo P?rez has already left a remarkably fresh imprint on contemporary music. Universal acclaim for Danilo began with the 1994 release of The Journey, his second Novus recording, widely acknowledged as his breakthrough album. Panamonk, Danilo's 1996 debut on the Impulse! label, attracted even more attention. This irrepressibly spunky, yet highly polished, reinterpretation of Thelonious Monk's music secured Danilo's place as an outstanding player and original composer. The GRAMMY?-nominated Central Avenue (Impulse!, 1998), showcased Danilo's compositional prowess, kinetic technique, and a broad diversity of styles, while fully embracing his Panamanian roots. Danilo makes his debut on the legendary Verve label with 2000's Motherland, a heartfelt homage to the music of the Americas. The record, which focuses on the roots of Panamanian music as well as American, European, African, and Native Indian heritages, find the peerless pianist capturing the essence of America's complex personality through a masterful blend of musical elements. Recently named Cultural Ambassador to Panama, Danilo P?rez absorbs and revitalizes a wide range of musical interests and passions. He says, "It is often said that Panama is 'the heart of the universe and the bridge to the world.' I wanted to celebrate Panama by showcasing its culture. Motherland will help show where our culture fits in with the rest of Latin America and with the rest of the world." Danilo Perez has performed and/or recorded with Jon Hendricks, Terence Blanchard, Claudio Roditi, Paquito D'Rivera, Wayne Shorter, Steve Lacy, Jack DeJohnette, Charlie Haden, Michael Brecker, Joe Lovano, Tito Puente, Wynton Marsalis, Billy Cobham, John Patitucci, Tom Harrell, Gary Burton, Avishai Cohen and Roy Haynes.